Registered Architect (Bureau Architectenregister), specialized in Materialization and Sustainable Design Development (M.Arch & M.Sc. ), having keen perception in aesthetics and a broad technical and theoretical background enriched by studying and working experiences in two different countries (NL, GR), with multiple years of experience on Architectural Visualization. Analytical, self-motivated, lateral thinker and proactive, with good presentation and highly developed organisational and communication skills acquired through several extracurricular activities. Adaptable and enthusiastic in working in multicultural environments, very comfortable in working as a member of a team, but also able to take initiative when the situation arises. 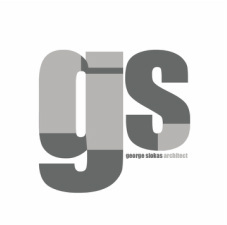 Interested in multidisciplinary architectural practice focused on materialization with emphasis on sustainable development and strong attention to detail. The United Nations Environmental Council, the new, 6th Council, will be in charge for the coordination of sustainability issues, such as waste problems, energy problems and securing biodiversity on the planet, aiming to marshal the existing fragmented running programs (such as UNEP) and coordinate these issues on a global level. 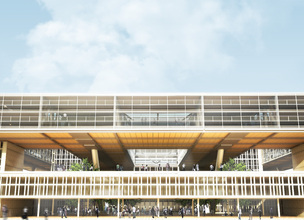 In other words, the new UNEC Building will be the center for collecting, producing, propagating and exchanging information on the broad topic of sustainability. The aim of the project was to analyze one of Robert Venturi’s non-built projects, the YMCA building in North Canton, Ohio, and create an analytical physical model/ maquette which would reveal and emphasize the conceptual idea behind Venturi’s design. The main idea which was pointed out consists of two categories; one the one hand, extra attention should be paid to the interior streets which are typical in venturi’s design (an interior street with the atmosphere of a public domain). On the other hand, after extended analysis to the YMCA project, extra emphasis should be given to the layered facades of each one of the three main volumes of the building. 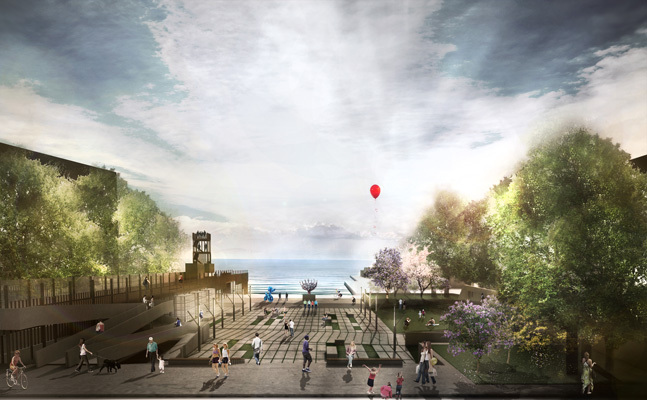 The contest requires the redesign of the historical Eleftherias (Liberty) Square, in the city center of Thessaloniki. The square today is used as a carpark, but through its redesign, the Municipality of Thessaloniki aims to convert the place into an area of green and recreation that will be offered back to pedestrians, as well as to transform the square into an entrance/gate of the city via the seafront. 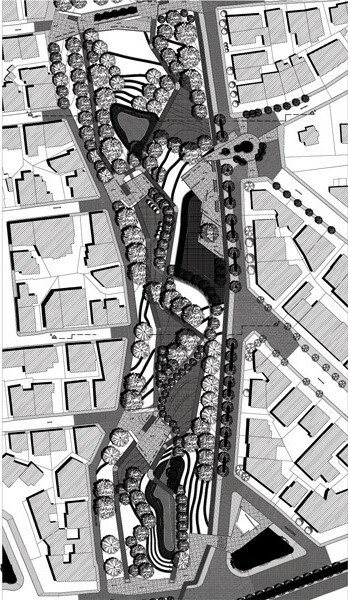 The project includes the increase of the existing green and the emergence of the historic memories related to the Square through bioclimatic design. 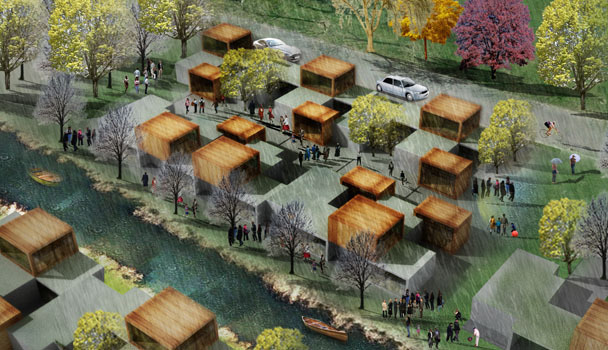 The given area for this project is located in the traditional settlement of Thessaloniki, Ano Poli (translation. Upper Town). The challenge of this project was to design a block of flats, which would be able to optically refer to one residence. The plot lies in a corner, with two main views, while, the other two blind views should be attached to the neighbour walls. Architectural rendering, or architectural illustration, is the art of creating two-dimensional images or animations showing the attributes of a proposed architectural design. 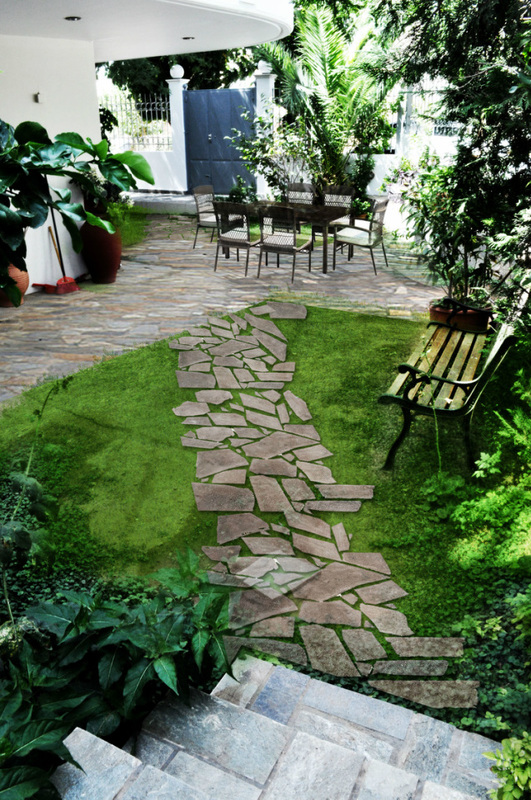 Garden and landscape design for a private garden of approximately 145 square meters in Athens region, Greece. 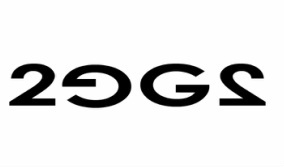 The project is currently in final design phase, while the construction is expected to start early in October 2013. Art Depository for the Boijmans van Beuningen Museum, Rotterdam, NL The objective of the studio was to design a new depository for the Museum of Boijmans van Beuningen in the city of Rotterdam, NL. The plot is located directly on the coastline of Maashaven.The main challenge of the project was to manage and combine two contradicting parts of the program; on the one hand, the “dead” program of the museum’s depository and the private offices, and on the other hand, the part of the program which is extremely public; a restaurant, an exhibition/exposition, a cafe. The aim of the project was to choose a building/existing project, along with a particular mood theme, the so called “mood board” and create a scene, a “still image”, using various 3d visualization techniques. A personal bachelor’s project was used. An interior afternoon render was produced, since it combines both the challenges of creating a fine interior scene and the photographic “irregularity” of a low angle sun. Freelance architect working on the interior reformation of the apartment of the client, in Attica’s Gerakas, Athens, Greece. 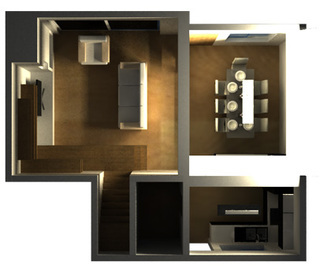 Interior reformation and design of a two-story apartment with attic, from materialization till lighting.Held this position in parallel with architectural studies. 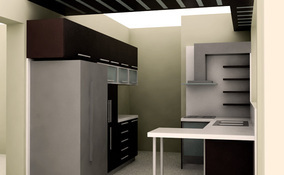 Main Responsibilities: interior design (kitchen, living room, dining area, lavatory, light set up), interiors reformation and conceptual design, 3D visualizations and architectural drawings, materialization and market research. The goal of the project was to create a green open space for recreation and relaxation within the context of the city centre of Thessaloniki. The area is located in the Thessaloniki city center. The 3rd of September Street –which intersects at right angle with Egnatia Street, the main Avenue of Thessaloniki-, orientated in the north-south axis, above the installations of the Faculty of Engineering of the Aristotle University of Thessaloniki (South boarder). Northwards, the area boarders with the Seih Sou Forest. Architectural Portfolio. Work samples. Selected professional and academic works from 2008 to date. 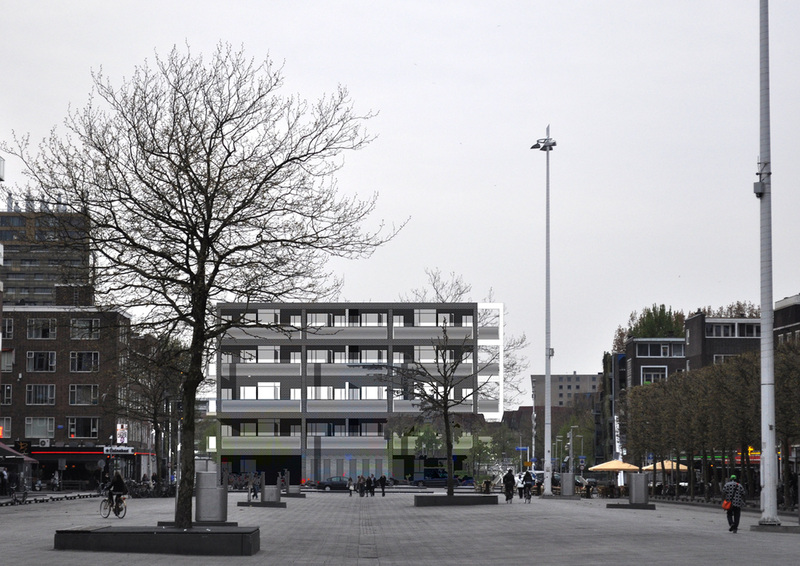 The objective of the studio was to design a new city block for the city of Rotterdam in one of the most important areas of the city; directly on the axis of Meent, on the current parking lot across the Binnenrotte street. More specifically, the “research/design” question, as stated in the studio kick off, was; “How could we develop, in the given situation, an urban building block which in relation with measure, scale and programme will react on the existing adjacent environment, and which will also can become a prototype of an urban building block that can be a part an also an enrichment of the existing city? 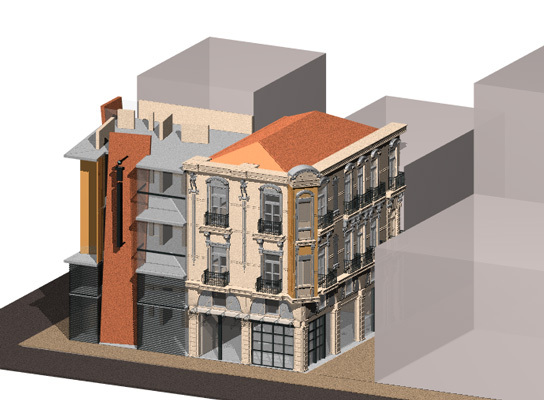 This project was focused on the restoration and reuse of a historical building of Thessaloniki. The building is located in the old Jewish neighbourhood, built in 1911-1912. The objective of the studio was to suggest a new use for the building and perform/study the necessary changes. 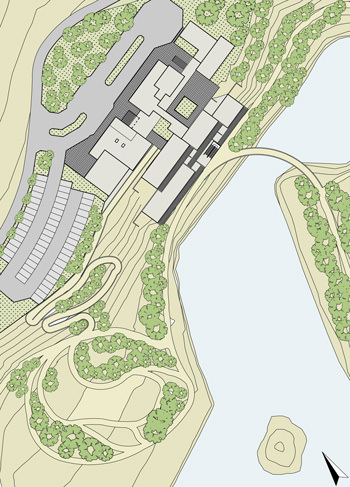 The principals of the proposal were in harmony with the building’s history and form, while attempting to reintroduce this building to its contemporary environment. (Re)Design of Eltheto's complex building 02 for three groups of semi and non independent elderly. 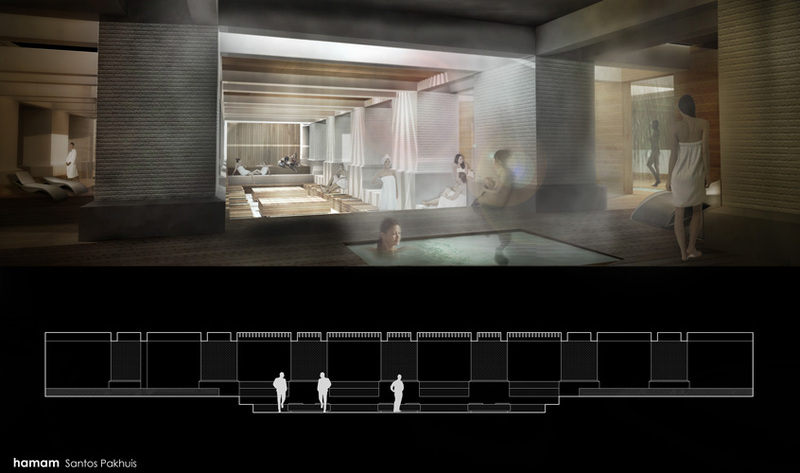 Design of a hamam situated in the heart of Rotterdam, NL. 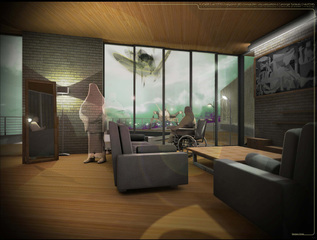 A growing house unit, designed accordingly to the needs of people with special needs. The "Magnetizer": Epiphone Coronet Artwork. 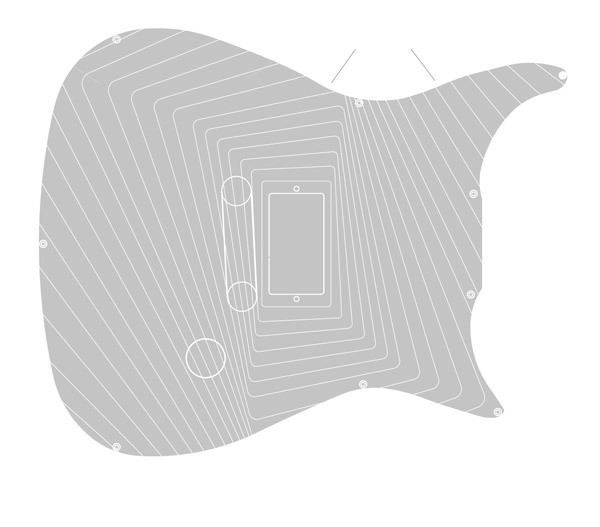 Design of a guitar stand. Available for sale. Professional works from 2008 onward. 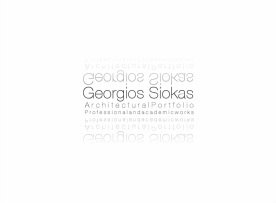 Academic works from Master in Architecture studies (M.Arch) in the Aristotle University of Thessaloniki (AUTH), Greece, from 2003 till 2010. Academic works from the Master of Science (M.Sc.) in Architecture, Urbanism and Building Sciences in Delft University of Technology (TU Delft), Netherlands, from 2010 till 2012. The project deals with the redesign of the current plot of the A.Nikolaidis Stadium from the perspective of creating an urban park for the neighbourhood of Ampelokipi, Athens. The stadium area is located within the Municipality of Athens, right on the intersection of “Kountouriotika” and “Ampelokipi” regions. The A. Nicolaidis stadium boarders and interacts with a great variety of elements of the adjacent urban web. The objective of the project was to perform the planning and design of a new district in the city of Thessaloniki for 1700 people. The district should take into consideration and provide a great variety of uses; dwellings, educational institutes and commercial spaces. 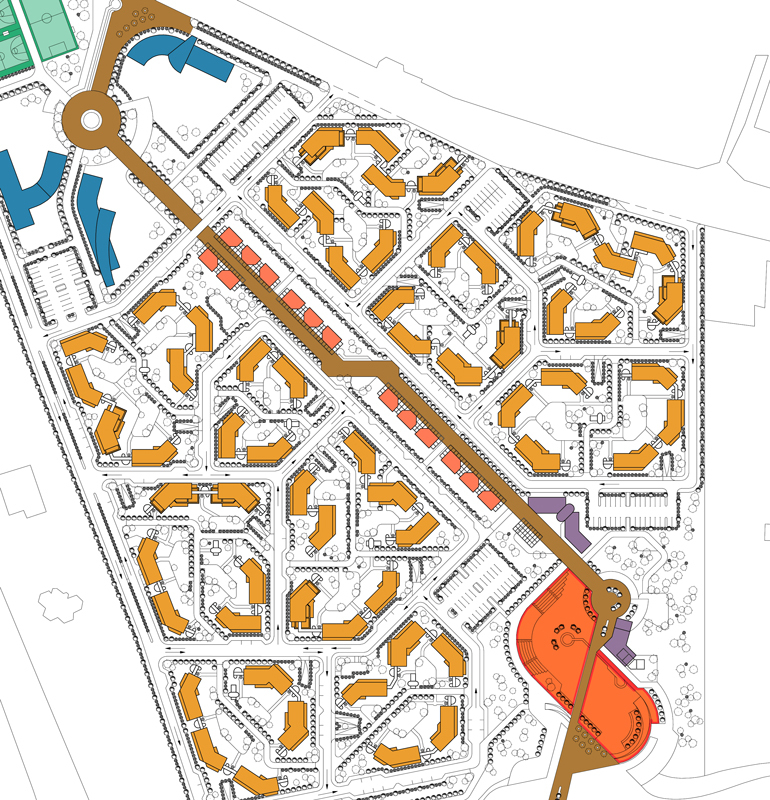 The given plot, 125 hectares in total, is located in the eastern part of Thessaloniki. 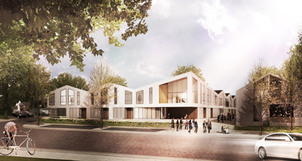 By the end of 2013, the first phase of the new-built healthcare and living/residential complex “Eltheto” will be delivered to the people of Rijssen, Netherlands. The project “Eltheto” is a successful response to the rapidly-changing and growing needs of the “new generation of elderly people” for living both independently and with the finest quality of spaces according to their [new] needs and lifestyle, combined with the necessity of healthcare within neighbourhood reach. The goal of the project was to design a hotel-spa complex in one of Thessaloniki’s suburbs. The spatial organization of the hotel and spa complex was strongly influenced by the particular topography of the land. The high plateau near the road hosts the reception/management building of the hotel, as well as the restaurant and the bath-spa station. Assistant Architect in a Greek Construction Company, assisting in multiple tasks on a new 3-storey office-apartment complex in Glyfada, Greece. Active contribution to the design development. Personally assigned part of the interiors design of the office-apartment complex. Gained experience on several stages of building process, including the technical implementation phase and on-site visits. 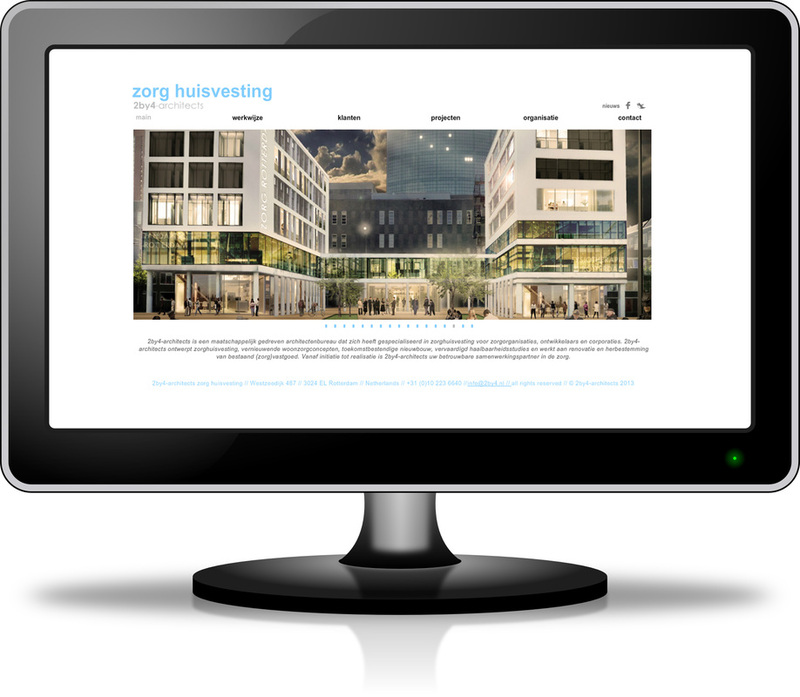 Web, graphic design, illustration, visualization and projects presentation of the new website of the Rotterdam based architectural office "2by4-architects".